There’s life after survival mode. I know because I’m living it. And I’ve coached and surveyed hundreds of women who feel like you. Women who schedule & program every moment. Who fear saying no and disappointing others. Who live in a constant state of stress and pressure. It doesn’t have to be like this. 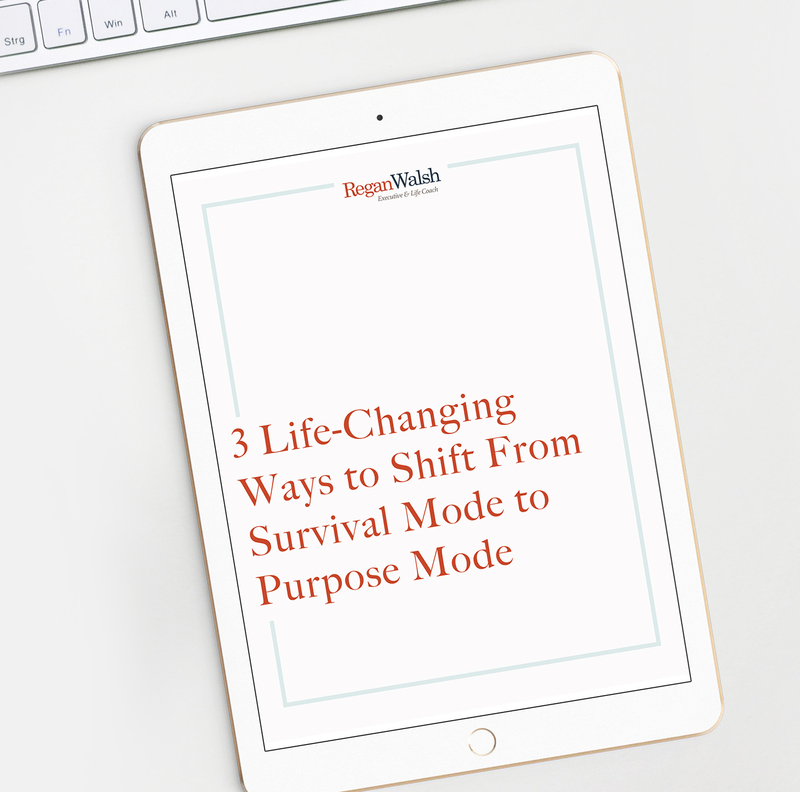 Enter your email below to download my (free) guide for three life-changing ways you can shift from survival to purpose mode TODAY. 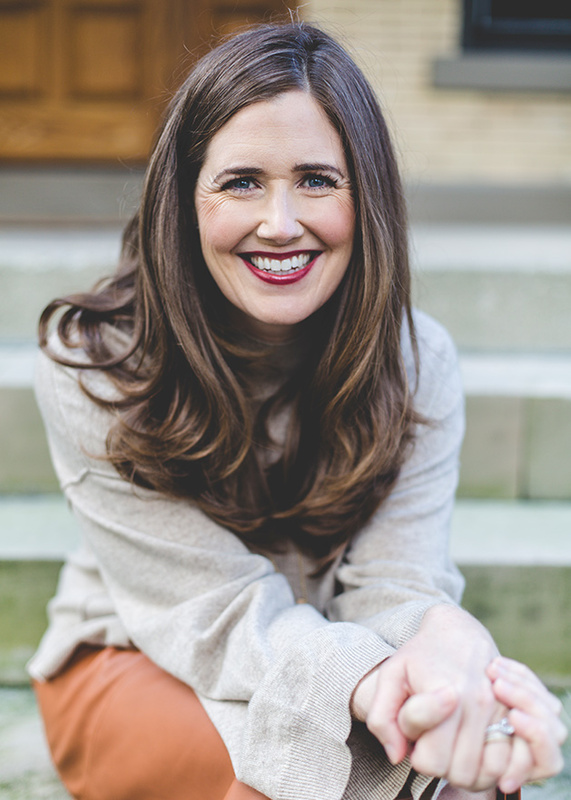 Hi, I’m Regan, an NYU-certified executive and life coach who finds joy and fulfillment in helping you live a life that sizzles. As a woman with a glass-three-quarters-full mentality and a deep desire to nurture, I proudly guide clients through times of transition to uncover their truest selves and find profound satisfaction in their every day. Your best life is one in which you proudly stake your claim on what brings you joy. I’m here to guide you to that life, and help you fiercely protect it. Private coaching packages range from 3-12 months and allow us to dive deep into the challenges and habits keeping you from a life of purpose and passion. Investment begins at $3,500. Are you facing a particularly towering life hurdle? Do you feel powerless to act? These comprehensive 90-minute sessions allow us to meet in person, examine what’s testing you, and push you beyond barriers. Investment is $600. The best teams have an aligned vision. They aren’t bogged down by too many tasks or aimlessly checking off duties. They are made up of individuals who proudly combine passions and strengths to tackle challenges, hit targets, and excitedly strive for greatness—together. It’s my sincere pleasure to inspire teams at meetings, retreats, and events with relatable and conversational chats, where we get real about goal setting, balance, and boundaries. Interested in learning more? Let’s schedule some time to chat by filling out the form below.